Sit back, relax and enjoy the view! Wow lake front setting! This one owner Bradford model with one car garage is ready & waiting for you! Inviting front porch! The entire villa is all tiled flooring! Two bedrooms plus a bonus den! Cathedral ceilings! Light & bright, white kitchen highlighted with sun tunnel! Breakfast bar open to dining area! Big tiled & windowed Florida room across rear of the entire unit! 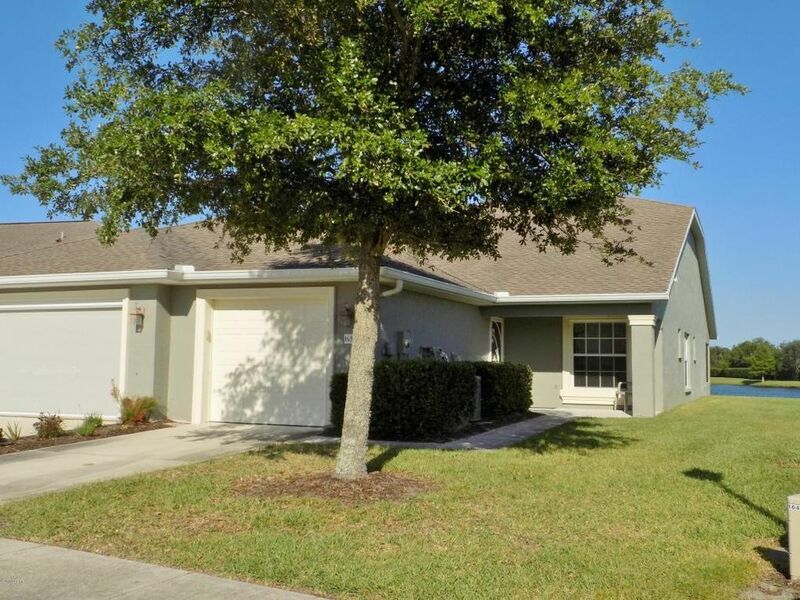 You will enjoy the maintenance free lifestyle of the Villages of Royal Palm! The HOA does all yard work, yearly pressure washing of your home & full exterior painting! The Club has two pools (one heated)! Billiards! An Exercise room! A library! Craft room! Business Center! & of course the Grand Ballroom! You've worked hard all your life, this is the lifestyle you deserve!